Family and friends of Taos Pueblo elder Tony Reyna gave a birthday breakfast for their beloved patriarch earlier this week at his home and shop on Veteran’s Highway at Taos Pueblo. On Reyna’s 100th birthday on Feb. 1, the New Mexico Legislature honored him with a memorial declaring Tony Reyna Day. The proclamation was authored by state Sen. Carlos Cisneros, D-Questa. Reyna is a survivor of the Bataan Death March in the Philippines, after which he endured three and one-half years of brutal captivity during World War II. His captivity ended in 1945 when he and other prisoners of war were liberated by Allied forces. He is the last of 11 men from Taos Pueblo who were captured at Bataan. After his return to Taos, he established Tony Reyna’s Indian Shop in 1950, which has remained open continuously. 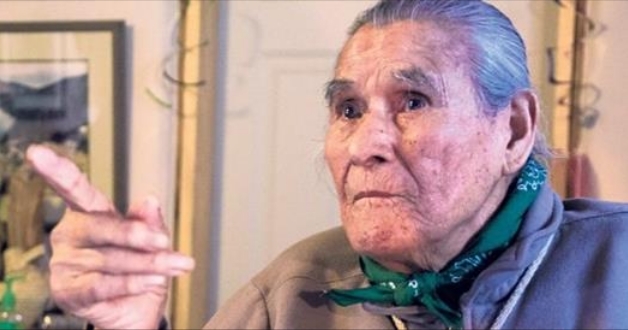 Reyna was a respected community leader even before he served two terms as his tribe’s governor, as well as in various other offices in tribal government. 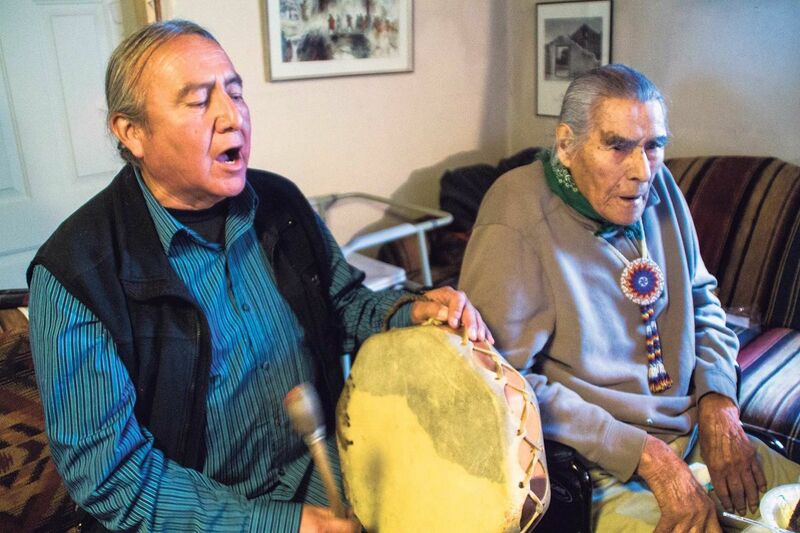 He remains a lifetime member of the Taos Pueblo tribal council. For the town of Taos, he served as a police commissioner and as a museum board member. During his birthday breakfast, Reyna presided over a table filled with food, cards and birthday decorations. After “Happy Birthday” was sung, two little boys helped him blow out the candles on a cake specially decorated with a photograph of Reyna wearing a favorite Pendleton blanket. Then, he and newly named Taos Pueblo War Chief Richard Archuleta sang several round dance songs, which Archuleta said he has helped preserve from days past. 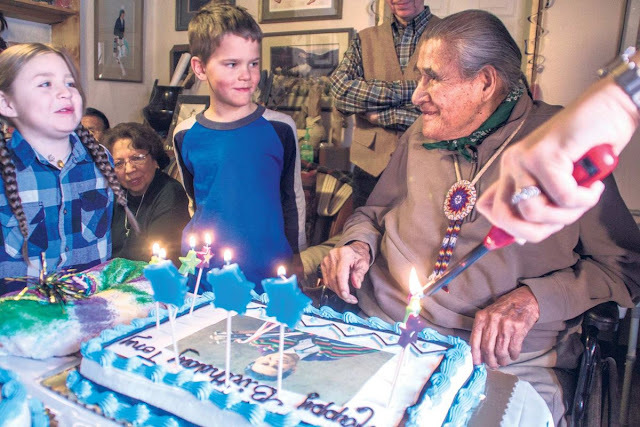 Responses to "Tony Reyna, Bataan survivor and Taos Pueblo tribal elder, turns 100 "